I took a small detour through the woods this morning after walking through the pasture to check on the sheep (all are well, quietly intent on eating). 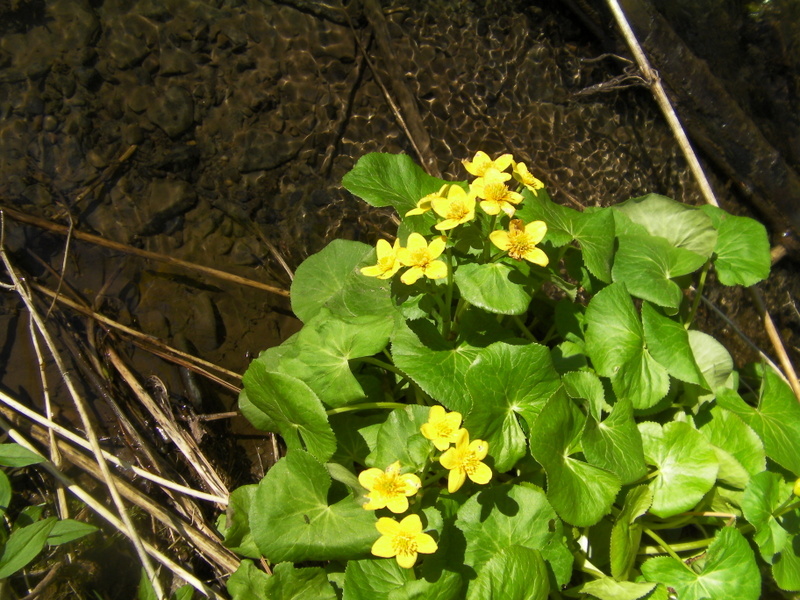 Marsh Marigold (Caltha palustris) is in full bloom along the edge of the stream soaking up the sun before the canopy closes. I believe it is poisonous but it is pretty. 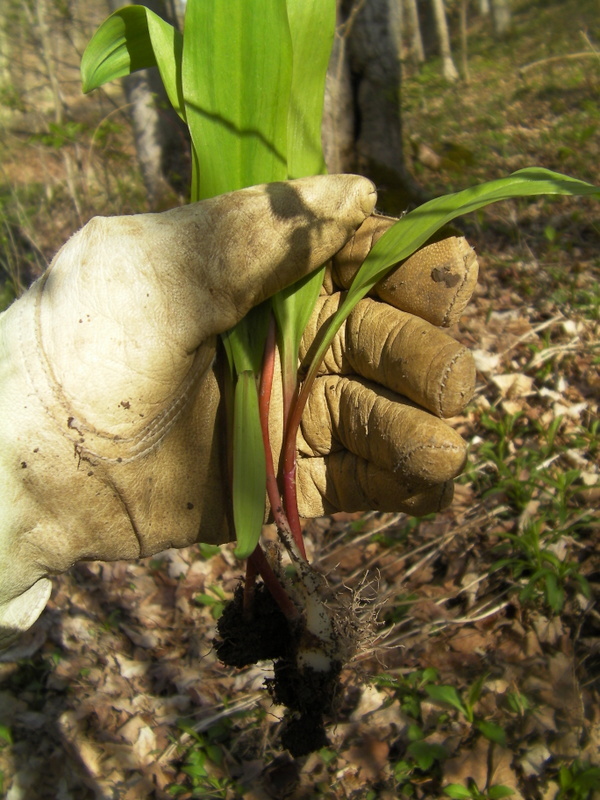 And I dug up ramps. Some to have with an egg and potato for lunch and some to replant in the shade just outside the kitchen.